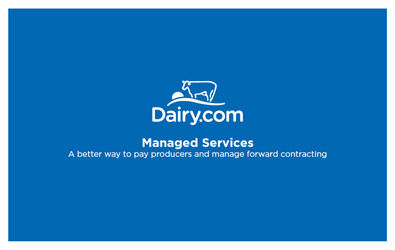 A world-class producer forward contracting program provides convenience and multiple alternatives for dairy farmer participants without a big strain on resources for plant/cooperative providers. Inevitably, forward contracting programs have a lot of moving pieces. Producers need access to real-time market information. There can be no busy signals, no “we’ll get right back to you…” Contracts must be executed, hedged and tracked. Confirmations and settlement statements require processing and delivery to participant and provider alike. Accuracy and audit trail are critical. If you are looking for an expert team to manage your forward contracting program, Blimling and Associates has a demonstrated track record.